Since 2006, Sustainability Institute’s climate efforts — Climate Interactive and Our Climate Ourselves – operating along side our work with international policymakers, has achieved significant successes translating simulation-based insights in eleven different forms. 1. Embeddable Widget. 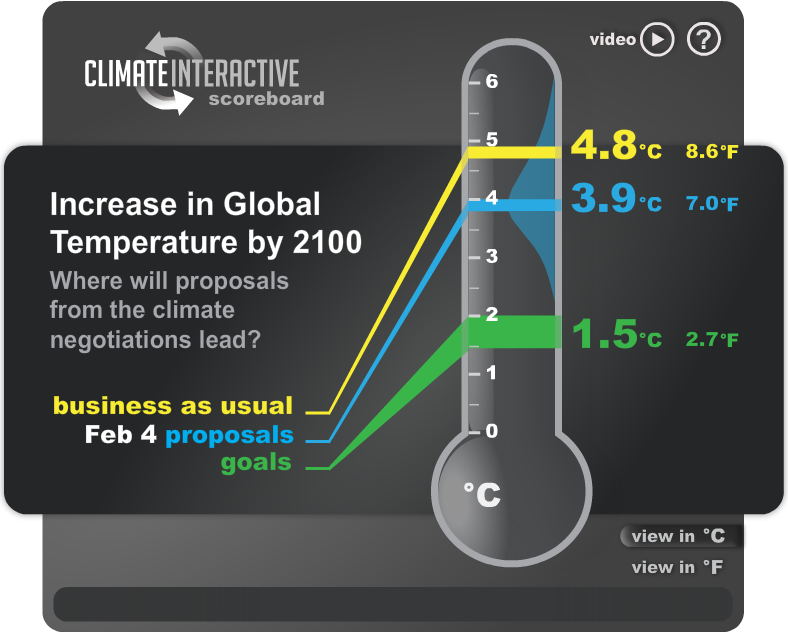 The C-ROADS-based Climate Scoreboard spread virally through the climate policy world during the Copenhagen Conference and was embedded in thousands of blogs and webpages, reaching over half a million views. 2. Online Datasets. 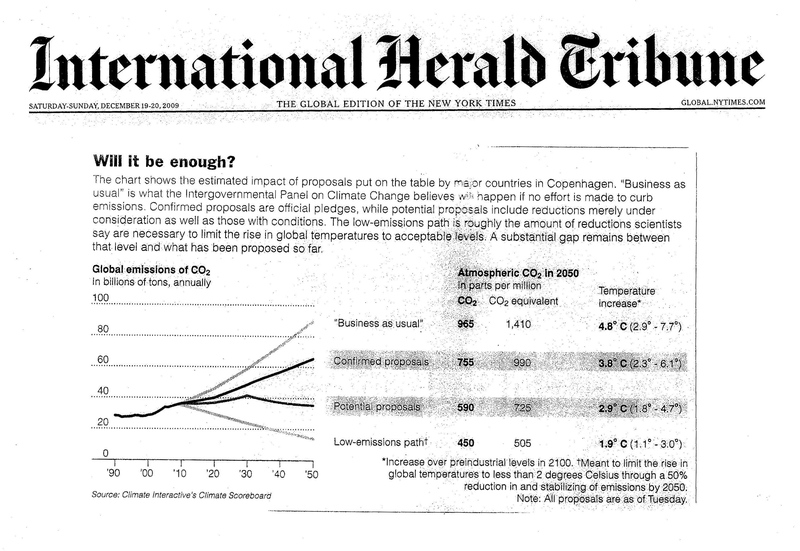 The International Herald Tribune, Newsweek, and Washington Post used the Excel files of model output that we post online, to create graphics for their media to report the Copenhagen Accord. And 350.org used the same data as part of a poster to influence delegates at the meetings. 3. Simulation Exhibits. 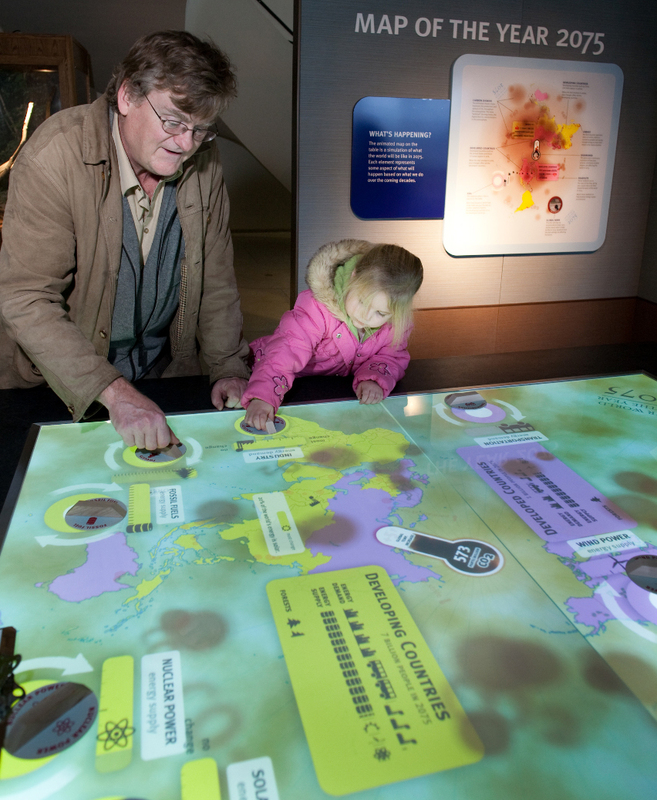 A consortium of science museum exhibit designers convened by Brown University integrated the C-ROADS simulation into a “touch-table” exhibit that is now touring New England science museums. 4. “Sticky” Metaphors. 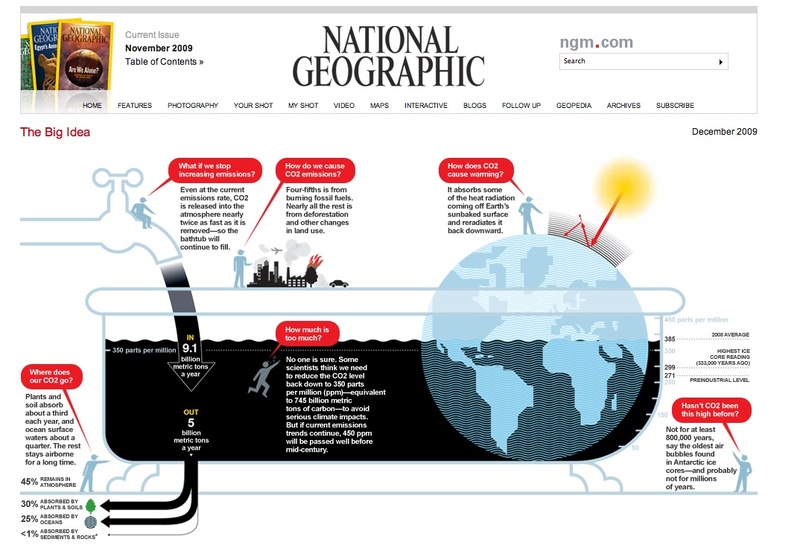 Dr. John Sterman (a partner in Climate Interactive) developed the “carbon bathtub” as a framework that was published as the “Big New Idea” in National Geographic Magazine in December 2009. 5. Google Earth applications. NOAA’s Dr. Ned Gardiner used C-ROADS results to produce 3-D models of the earth, indicating the intensity of climate change impacts in different areas. 6. Role-Play Exercises and Serious Games. The “World Climate” Mock-UN C-ROADS-based exercise, designed at SI and MIT, has been led by dozens of leaders for thousands of people around the world, from high school students to oil executives to European Government officials. All materials are available online. 7. Citizen Workshops. “Our Climate Ourselves” workshops have empowered thousands of climate leaders. All materials, including PowerPoint decks, are shared online. 8. Online Simulation. 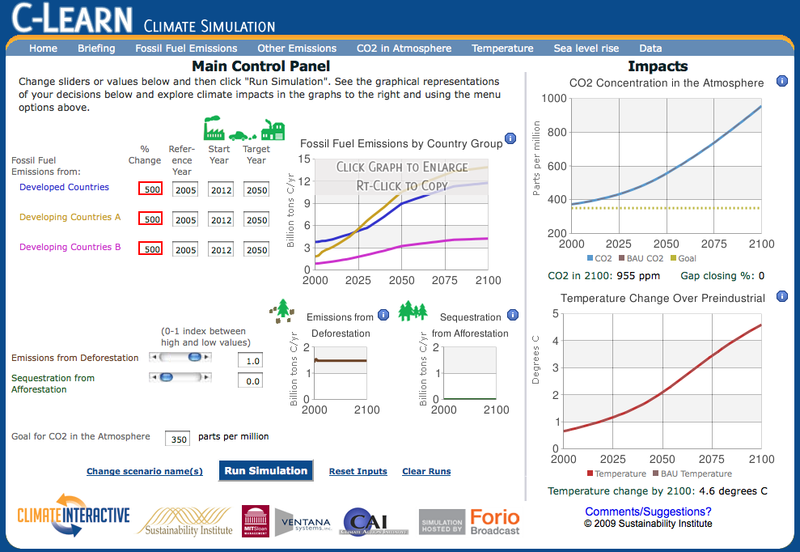 The “C-Learn” online simulation, available free to anyone with internet access, has allowed thousands to experiment with a real climate simulation. 10. Videos. Interviews for TV, a TEDx talk, a motion graphics video of the Scoreboard, rally talks, University lectures, briefings on Capitol Hill – we’ve integrated simulation insights into many video forms. 11. Educational Flash Programs. Dr. John Sterman at MIT and a team funded by Schlumberger created animated bathtubs for educational uses. Overall, we’ve identified at least eleven forms that allow us and others to use climate simulation insights, tools, data, and other media to empower action.